Steady and positive economic fundamentals are good news for Calgary’s resale housing market in 2018. The Conference Board of Canada has painted a fairly rosy picture for the Calgary economy for this year and beyond – although it won’t be at the blistering, nation-leading 6.9 per cent annual growth it experienced last year. In its Metropolitan Outlook, the board forecast Real GDP in Calgary to rise 2.5 per cent this year.. Employment is forecast to rise two per cent, cutting the unemployment rate to 8.2 per cent from 8.7 per cent in 2017. While the economic factors are positive coming off two years of recessions in 2015 and 2016, Arcand said that there wasn’t much of a recovery in the housing market in 2017 like the overall economy. “Even in 2018 with the economy expected to moderate I wouldn’t expect the recovery to start this year either. There’s too many headwinds to recovery in the resale housing market,” he said. Other factors steadying the resale housing market this year will be population growth forecast to be 1.8 per cent, retail sales to rise by 2.6 per cent and household income per capita to increase by 2.9 per cent to $65,943. One of the key factors in the housing market is consumer confidence. Calgary has gone past the two years of recession and is on a path of growth. The labour market has stabilized after thousands of jobs were shed during the recession years. Positive economic indicators buoy consumer confidence and spending as witnessed in the rising retail sales. All good solid foundations for a stable resale housing market in 2018. The positive conference board report released just this past week sets the stage for the busiest time of the year for the city’s real estate market. 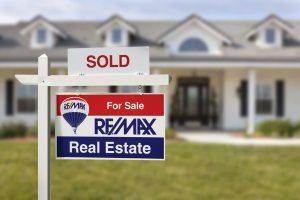 Spring is just around the corner and that means a heightened sense of activity for the resale housing sector. According to the Calgary Real Estate Board, there were 18,882 MLS sales in the city in 2017 rising from 17,796 in 2016. The board’s chief economist, Ann-Marie Lurie, forecasst sales to dip only slightly this year to 18,853.